GOOGLE MAPS STREET VIEW has recently upgraded and now offers every block in Atwater Village. When it first launched, only Los Feliz Blvd. 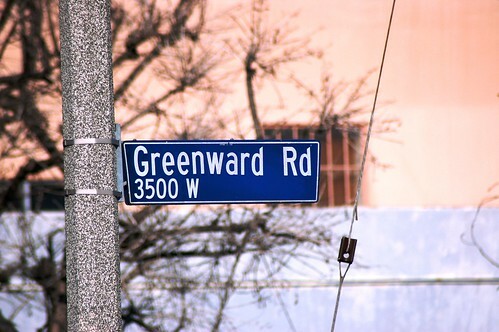 and Glendale Blvd. were photographed. But now you can get into just about everybody's business, including this nice fellow and his dog. UPDATE: Here they are again around the corner. Already Baseball History, originally uploaded by Atwater Village Newbie. 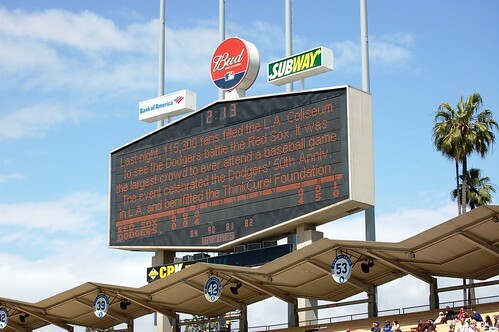 "LAST NIGHT, 115,300 fans filled the LA Coliseum to see the Dodgers battle the Red Sox. It was the largest crowd to ever attend a baseball game. The event celebrated the Dodgers' 50th anniversary in LA and benefited the ThinkCure! Foundation." Help a Neighbor: Any Craftsman Specialists Out There? THOUGH THIS REQUEST is posted on LA Times and Google Groups, the response so far has been less than deafening. Can anyone else help? What gives? Street department typo? 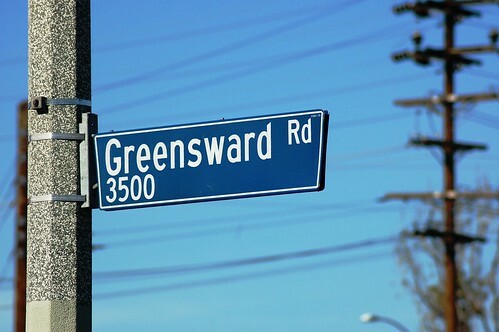 All maps point toward the correct name of the street being Greensward - with the s - so how'd this rogue sign get posted? AND OUR NEIGHBOR Miles really liked it. Can Canele ever miss? Stop by 3219 Glendale Blvd., or visit the restaurant's spiffy web site. 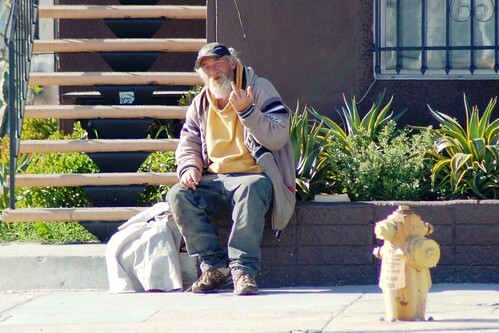 The Unhappiest Hobo, originally uploaded by Atwater Village Newbie. LITTER. SPIT. FLIP PEOPLE OFF. All in a day's lack of work for this friendly fellow. He must have been on a union-mandated break from his cardboard sign operation in the Glendale Blvd. median at Glenhurst/Glenfeliz, where all the cars U-turn to cross the Hyperion bridge. Sorry my soul-stealing camera displeased you, mister! Hopefully you were able earn it back with those tax-free cash donations from guilt-driven Silver Lakers.